who discovered silver in the 18th century. Nent Hall offers a charming destination to enjoy a relaxing break. Set in peaceful gardens, this property is only a short drive from the Lake District, Hadrian’s Wall and is midway along the coast to coast route. The hotel is popular with walkers and cyclists (we have secure bicycle storage). The Hotel is a haven of tranquillity; perfect for those who want to get away from it all. There is a great selection of 18 rooms including 3 superior four poster bedrooms, the Tower Suite with sitting room, master bedroom, dressing room and bathroom, two family rooms (one sleeping four and one sleeping five), plus a selection of double and twin rooms. All rooms offer comfort in a stylish country house setting and are inclusive of breakfast when booked directly with the hotel. To book visit the booking page. During your stay you can enjoy strolls along the banks of the River Nent, wander round the cobbled lanes of nearby Alston or walk up to several vantage points, where the whole valley is spread out below you. There are great places to visit and we have included some ideas for you on the Things to do page. The Coach House Inn is part of the hotel and has a good selection of beers including real ale, wines and spirits and serves traditional home-cooked meals 7 days a week. There is a popular children’s play area and garden. The Valley View Restaurant is open on Friday and Saturday nights, and serves a mix of contemporary and traditional cuisine. Please reserve in advance at reception. For family groups, cycling or walking groups we have a five bedroom farm house for rent across the road from the hotel for rent (see photograph below). For further details please contact reception 01434 381584. “The house is in a great position for getting straight out for a walk up the hills, we only did a very short walk but there are plenty of public footpaths in the area. The house is fairly basic, but has everything you need to enjoy a stay in the area, and was lovely and clean when we arrived. We had been left small packets of shower gels and soaps which was a nice touch. Bedroom 5 is accessed through bedroom 4. This wasn’t a problem for us at all but is probably worth noting if you’re not travelling with close family. “We stayed here for three nights in early September. Nice little pub with good food. Great location for seeing this area while we were discovering Hadrian’s wall. 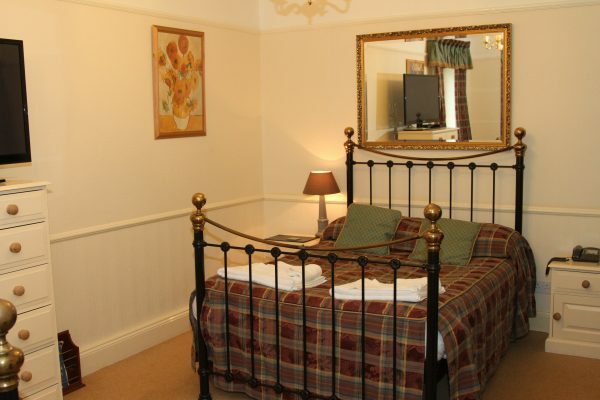 Clean comfortable & spacious ground floor twin room & clean bathroom, welcoming & helpful. Reasonable priced (cheap even) Spacious lounge area. Good breakfast & accommodated an early start. Bar food very reasonable priced & tasty. Enjoyable visit.